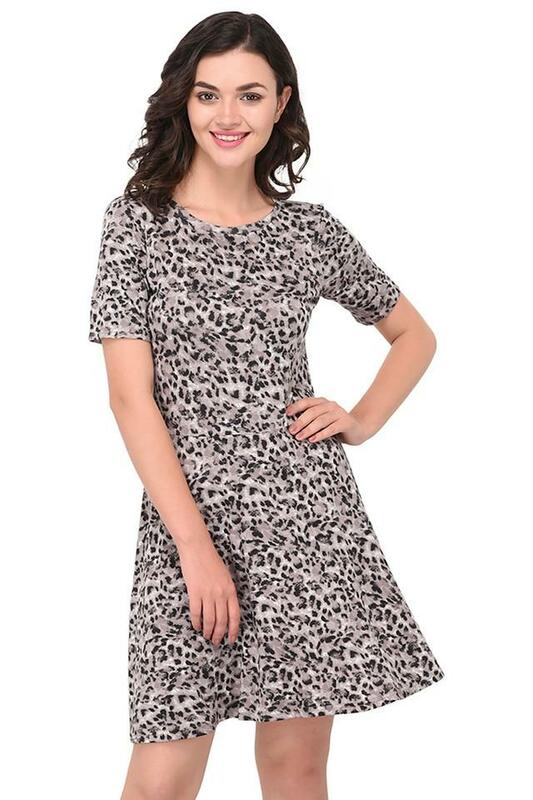 Flaunt your personal style with this skater dress from Purys. Made of a superior quality fabric, it will give you a comfortable feel all day long and will also be easy to maintain. Featuring a round neck, it will give you a smart appeal, while the print pattern along with short sleeves elevates its allure. 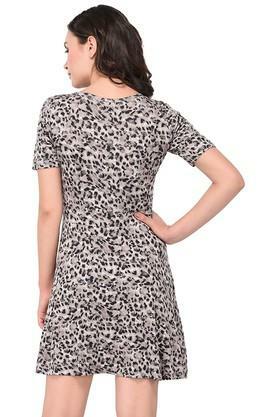 A perfect mix of style and comfort, this skater dress will be a smart addition to your wardrobe. You can club with a pair of heeled sandals to look your best.